Studies estimate that by 2020 we will have a vast Internet of Things (IoT) network comprising 26 billion connected devices, including everything from light bulbs to refrigerators, coffee makers to cars. From the beginning, the concept of cyber-physical systems (CPS), or the sensing and control of physical phenomena through networks of devices that work together to achieve common goals, has been implicit in the IoT enterprise. 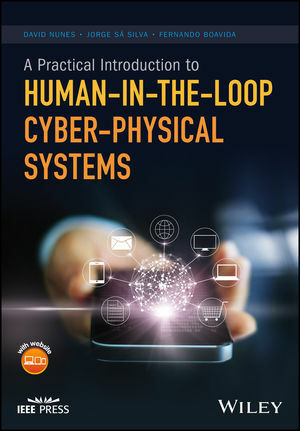 This book focuses on the increasingly hot topic of Human-in-the-loop Cyber-Physical Systems (HiTLCPS)—CPSs that incorporate human responses in IoT equation. Why have we not yet integrated the human component into CPSs? What are the major challenges to achieving HiTLCPS? How can we take advantage of ubiquitous sensing platforms, such as smartphones and personal devices to achieve that goal? While mature HiTLCPS designs have yet to be achieved, or a general consensus reached on underlying HiTLCPS requirements, principles, and theory, researchers and developers worldwide are on the cusp of realizing them. With contributions from researchers at the cutting edge of HiTLCPS R&D, this book addresses many of these questions from the theoretical and practical points of view. This book is an indispensable resource for researchers and app developers eager to explore HiTL concepts and include them into their designs. It is also an excellent primer for advanced undergraduates and graduate students studying IoT, CPS, and HiTLCPS. David Nunes, PhD is an information systems advisor and software developer at the Central Portuguese Bank. He holds a Masters degree in Bioinformatics, and a PhD in Informatics, both from the University of Coimbra, Portugal. Jorge Sá Silva, PhD is an Assistant Professor in the Department of Informatics Engineering at the tUniversity of Coimbra, Portugal. Fernando Boavida, PhD is a Professor in the Department of Informatics Engineering at the University of Coimbra and founder of the University's Laboratory of Communications and Telematics of DEI.